Elms College offers private grants to students based on financial need, as well as academic achievement. There are also many federal, state, and private grants available to students. The list on this webpage includes some of the better known resources offered publicly and directly through Elms College. Students attending Springfield, Chicopee, or Holyoke public schools in Massachusetts are eligible for this grant. Incoming first-year students are automatically considered when they submit their application. To qualify, students must be currently enrolled at their respective high school when they apply to Elms. This grant is open to students attending a Catholic high school anywhere in the country. Incoming first-year students are automatically considered when they submit their application. To qualify, students must be currently enrolled at a Catholic high school when they apply to Elms. The Elms Grant is a need-based grant offered by Elms College directly. A student’s eligibility for the grant is determined through a review of their FAFSA and financial aid application materials. Amounts are re-determined every academic year based on a student’s latest financial aid application. Additionally, students must maintain Satisfactory Academic Progress, or SAP, to be eligible for grant funding. For information regarding SAP, please review the Undergraduate Catalog. Undergraduate students who complete the 2018-2019 FAFSA and have an expected family contribution (EFC) less than or equal to $5,486 are eligible to receive this federal grant. Federal Pell Grants range from $652 to $6,095 per year and are awarded to students who have not earned a baccalaureate degree and demonstrate financial need. Students who attend less than full-time will receive a lesser amount. Students are limited to receiving 600% of their annual full-time Pell Grant eligibility where a student attending one full academic year with full-time student status would receive 100% of their Pell Grant eligibility. The federal SEOG is restricted to undergraduate students who have not earned a baccalaureate degree and demonstrate significant financial need as determined by the FAFSA. Preference is given to Federal Pell Grant recipients. Due to limited funding, not all students will receive the FSEOG even if they are eligible. Eligibility will be re-determined each academic year. The Massachusetts Office of Student Financial Assistance (OSFA) determines eligibility. You must be enrolled full time (12 credits or more), be a resident of Massachusetts for one year prior to start of the academic year (if you are a dependent student, your parent also must be a resident of Massachusetts for one year prior to the academic year), and have an eligible EFC. The Gilbert Grant is awarded to full-time students who meet the Massachusetts residency requirements and demonstrate exceptional need. Funds are limited. Some New England states have reciprocal agreements for state grants. Students from Connecticut and Vermont may use their state grants at Elms College. Each state has its own eligibility requirements, but most require the FAFSA form be completed by the state deadline. Please review your state’s eligibility criteria. 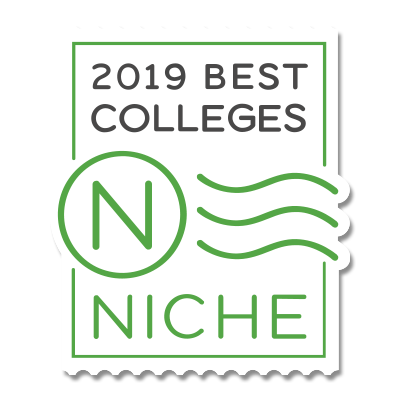 If a family enrolls more than one dependent undergraduate student full-time at Elms College in any given year, each student will receive a discount equal to $1,000 per year, per full-time dependent undergraduate concurrently enrolled on the main campus. Please contact the Financial Aid Office if you are eligible by the 4th week of the semester in which siblings are enrolled. Verification may be requested. Students enrolled in programs through the School of Graduate and Professional Studies Office are not eligible for this discount.